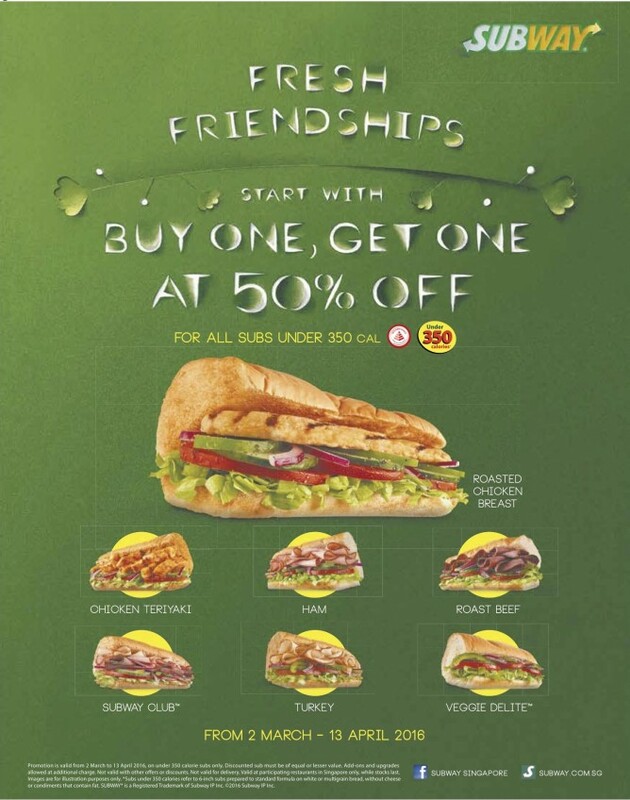 Promotion is valid from 2 March to 13 April 2016, on under 350 calorie subs only. 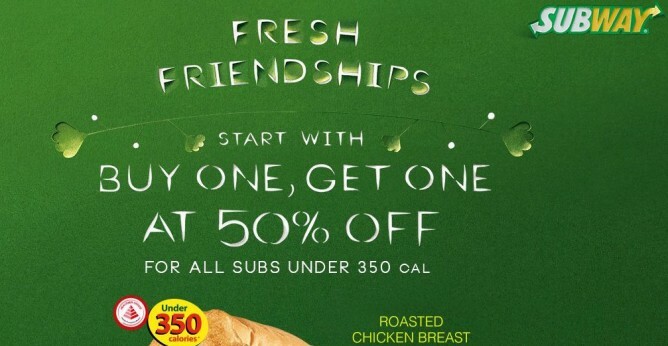 Discounted sub must be of equal or lesser value. Add-ons and upgrades allowed at additional charge. Valid at participating restaurants in Singapore only, while stocks last.